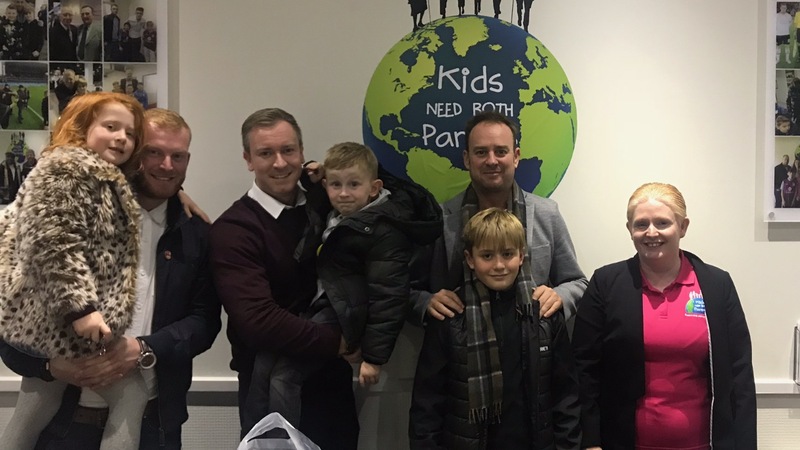 It was a great surprise when we found out that we had been selected by the guys at ‘Kids Need Both Parents’ to come down and spend the day at Villa park. My son Rowan was treated for a Medulloblastoma last year and after finishing his treatment in the spring has begun to make fantastic progress in his journey back to normal. So now that he is as lively and energetic as he used to be, to have the opportunity to take him not only for his first Villa game but to be able to do it in such a fantastic environment with great people who share the same drive towards a variety of charities and causes as ourselves, was a huge pleasure. The day as a whole was fantastic with Rowan having the opportunity to not only watch the match but also to meet the mascots and be so close to the players at pitchside during warm up is an experience that he will be able to take with him for a long time and it is all down to the hard work and compassion of the guys at the charity. It was a pleasure spending time with Aaron, Rowan, Freya and Michael. Rowan is such an amazing young man. we wish him all the best for the future.